What Became of Scorpion Power Systems? We notice that each month people still search online for Scorpion Generators, even though the Scorpion Power Systems brand was consolidated into shentongroup in 2010. So why are people still searching for Scorpion Generators? Well, as well as switching to the shentongroup name, along with a number of other complementary technologies, the enduring quality and reliability of Scorpion Generators means that they are still in service, carrying forward the Scorpion Power Systems brand name to this day. 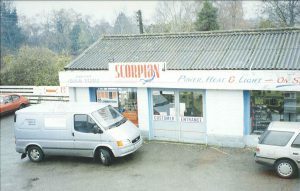 In fact, when we started providing Scorpion Generators way back in the 1980’s, the Scorpion brand soon became synonymous with dependable standby power; so much so that we won many revered clients, including the British Army. Scorpion Power Systems joined a number of other brands that we amalgamated into shentongroup to form a single, definitive and centralised brand for those seeking outstanding continuous power solutions. shentongroup was able to satisfy all of their Standby Power, Uninterruptible Power Supply and Combined Heat & Power System requirements, as well as providing ongoing maintenance and support. In fact, our nationwide maintenance teams are constantly in contact with the Scorpion brand today, ensuring that Scorpion Power Systems Generators remain in optimal condition, servicing and calibrating them for their reliable service way into the future. 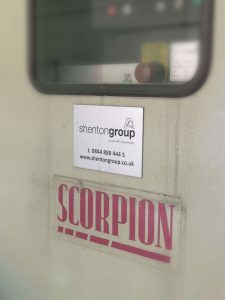 So, if you see the Scorpion Power Systems branding on a standby generator, you can be sure that the technology and know-how that made these generators best-in-class lives on through shentongroup: The UK’s leading technical experts in Standby Power, Uninterruptible Power Supplies and Combined Heat and Power Systems. If you see a Scorpion Generator on your travels, take a picture and send it to us here and we’ll share it, along with your name and company details through our social media. Alternatively, Tweet your image using hashtag #scorpionpowersystems and we’ll retweet you to our followers!